The ALS Association facilitates partnerships with pharmaceutical and biotech companies to invest in drug development to rapidly bring potential therapeutics into clinical trials. These partnerships leverage various expertise in drug development, in chemistry, toxicology and regulatory, that may not be readily available in academia. Our Lawrence and Isabel Barnett Drug Development Program allows us the freedom to strategically fund preclinical projects aimed at developing therapeutics for ALS that are product-driven. It is anticipated that the agents and/or data generated from these funded projects will lead to the advancement of new therapies for ALS. In addition, through our Clinical Trials program we support pilot studies in partnership with academia and industry. We also support several biomarker efforts, some in partnership with industry, essential for enhanced drug development and clinical trials. The Lawrence and Isabel Barnett Drug Development Program has enabled the development of novel therapeutics that are currently in clinical trials for ALS and related neurological disorders. It has been instrumental in building and fostering academic-industry partnerships and has contributed to the explosion in companies, small and large, entering the ALS field. Among other accomplishments, this milestone-based program made possible the development and clinical testing of antisense therapy against a common gene mutation in ALS, the first application of antisense therapy to any neurologic disease. 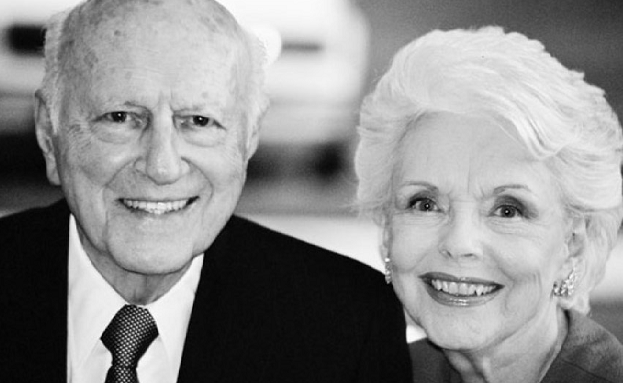 This vital program is named in honor of Lawrence and Isabel Barnett, both widely revered for their roles as a prominent entertainment executive and as actress in television and theater, respectively. They contributed their time, talent and treasure to The ALS Association after a family friend was diagnosed with ALS. Over the years, their contributions to the fight against ALS have enabled us to expand this partnership-driven work resulting in tremendous progress in understanding the disease through groundbreaking research. Dr. Eliahu Heldman and team at Lauren Sciences, LLC to use non-invasive, targeted delivery of GDNF to motor neurons using novel nanovesicle technology. Dr. John Ravits and team at the University of California to carry out a pathological analysis of selective autophagy in sporadic and familial ALS. Read more here. Dr. Raymond Roos and team at The University of Chicago to develop a novel therapeutic targeting ER (endoplasmic reticulum) stress using ALS mice. Read more here. Dr. Nicholas Maragakis and team at Johns Hopkins University to test whether compound NLY01 that targets inflammatory pathways influences ALS disease progression. Read more here. Dr. Antonius Bunt and colleagues at Izumi Biosciences to use their pharmacokinetic enhancer IZ10023 as a platform to improve drug exposure and efficacy of ALS drugs. Read more here. Dr. John Landers and team at University of Massachusetts Medical School to investigate pridopidine, a Sigma-1 receptor activator, as a potential novel therapeutic treatment for ALS. Read more here. Dr. Timothy Miller and colleagues at Washington University St. Louis to undergo a pathological analysis of selective autophagy, a cell degradation system, in sporadic and familial ALS. Read more here. Dr. Wen Hwa Lee and colleagues at the University of Oxford, Structural Genomics Consortium at the Montreal Neurological Institute at McGill University, and the Karolinska Institute joined together to create an open-access research antibody validation pipeline, providing the ALS research community with the highest quality antibodies for ALS genes. Read more here and here. Optikira LLC with researchers in Cleveland, Ohio to validate a potential ALS therapeutic that inhibits a IRE1α kinase/RNAse, thus preventing a cell death pathway. Read more here and here. Dr. Thomas Lloyd and team at Johns Hopkins University in Baltimore in collaboration with researchers at University of Pittsburgh and Karyopharm Therapeutics to test nuclear export inhibitors as a strategy for treatment in ALS due to the C9orf72 gene expansion. Read more here and here. Aquinnah Pharmaceuticals with researchers at Boston University to target stress granules to design new therapies for ALS. Read more. GlaxoSmithKline (GSK) with researchers at Massachusetts General Hospital to develop and carry out an early clinical trial to test an anti-epileptic drug, retigabine, which is designed to reduce the firing of motor neuron signals [shown to be toxic to cells]. Read more. Iron Horse Diagnostics, Inc. with researchers at Barrow Neurological Institute to discover and validate ALS biomarkers derived from blood and/or cerebral spinal fluid collection from people living with ALS. Read more. Ionis Pharmaceuticals and Biogen with researchers at University of California San Diego and Johns Hopkins University to develop antisense therapy against SOD1 and C9orf72, the two most common genetic causes of ALS. A clinical trial started for SOD1 in early 2016 and a trial targeting C9orf72 is slated to start in early 2017. Read more here and here. Voyager Therapeutics with researchers at University of Missouri to develop gene therapy targeting SOD1 for ALS treatment. Read more here and here. Neuroimmune with researchers at Massachusetts General Hospital to develop human-derived antibodies targeting the toxic protein products of C9orf72. Read more. Genentech with researchers at New York University to develop drugs to promote the maintenance of the connection between neurons and muscles, called the neuromuscular junction, in ALS disease models. Read more. Cytokinetics with researchers at Barrow Neurological Institute to support the collection of clinical data and plasma samples from the VITALITY-ALS phase III clinical trial of tirasemtiv to advance the discovery of ALS biomarkers. Read more here and here.